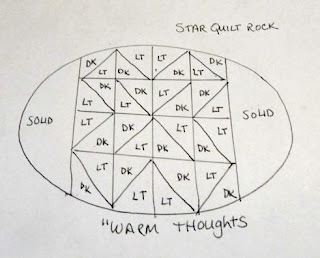 Warm up to this super fun star quilt rock. It’s easy to make this rock and then put your “warm thoughts,” on the underside and leave it for someone to find. 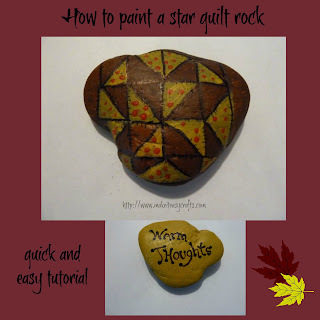 It’s easy to paint and kids will love to vary the colors of the quilt. Simply follow the diagram painting all the dark sections first and then follow with the light ones. 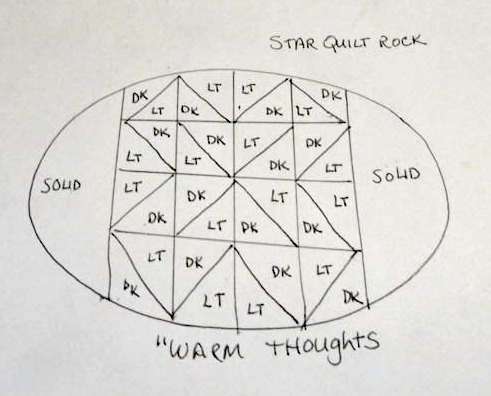 After you have finished your quilt leave your positive message on the back! 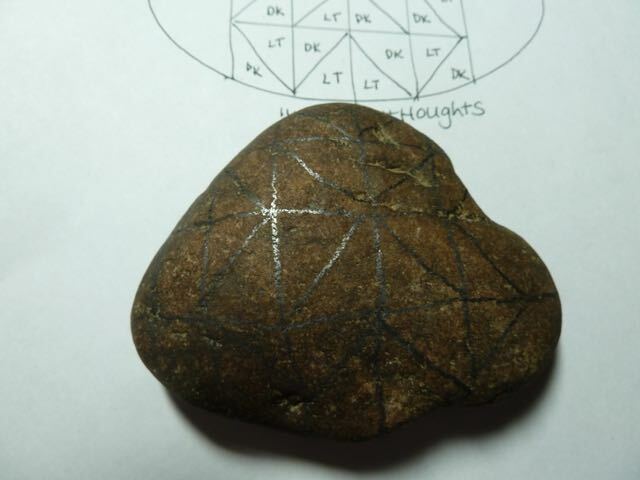 Kindness rocks! 1. 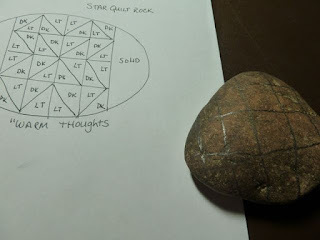 First, use the pencil to mark off lines for the squares on your rock. The lines don’t have to be perfect. Then, make diagonal lines on the squares following the diagram. Don’t worry about the ends since they will just be one solid color. 2. 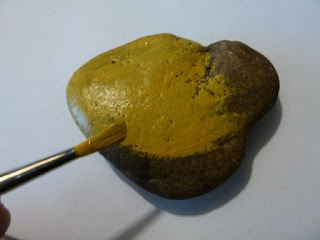 Next, paint the underside of the rock yellow ochre and let dry. 3. 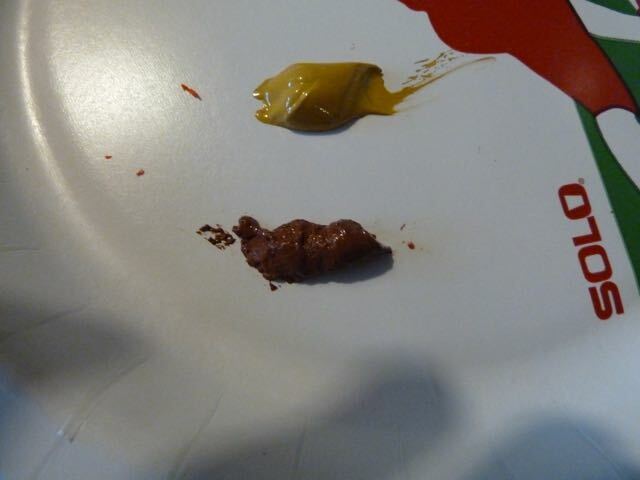 Now using the small paintbrush, paint the dark diagonal areas first and let dry. 4. Next, paint the light color diagonal areas and let dry. 5. 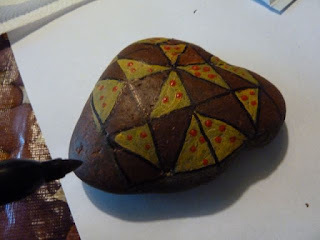 Depending upon your rock you may want to add a second coat and let dry. 6. 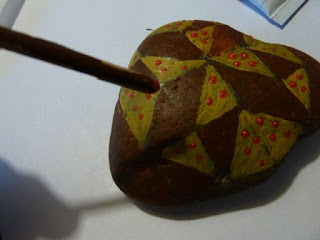 When the rock is dry, use the wood end of the paintbrush dipped in red paint to make dots on all the yellow ochre. (Light areas) Continue till you have added dots on all the light diagonal lines. 7. Finally, use the black sharpie marker to outline all the lines. 9. 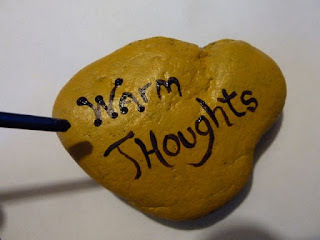 Turn rock over to the solid side and paint your message. 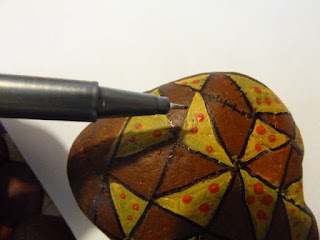 After you’ve painted it use the wood end of the paintbrush to put dots on the letters. 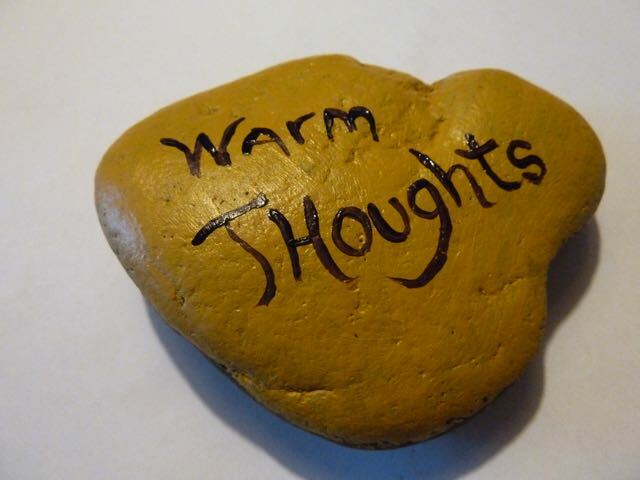 Let it dry and leave the rock in a park, store, sidewalk and more for someone to find and make their day warmer, and brighter! Check out some of our other rock painting tutorials like this Leaf rock! Thanks for your visit and we'd love to hear your comments! 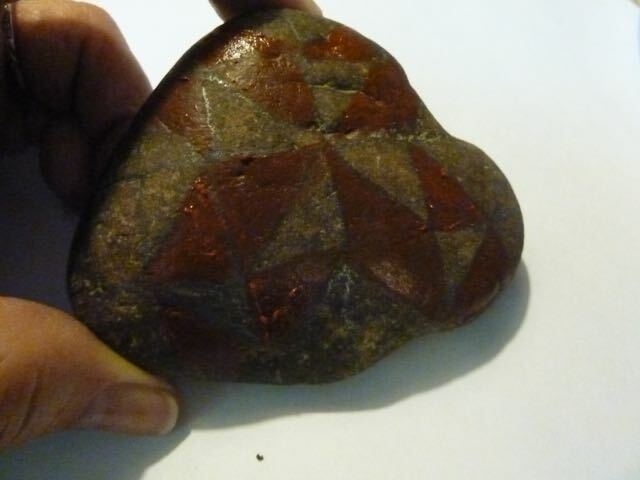 Crystal, I really, really, love your rock creations!!! Big Hugs!